Earl Carpenter has played principal and title roles in the West End in The Phantom of the Opera and Darryl van Horne in The Witches of Eastwick. He was Joe Gillis in the UK tour of Sunset Boulevard: Count Danilo in The Merry Widow: Archibald Craven in the Scottish Première of The Secret Garden and played the Beast and Gaston in the original production of Disney’s Beauty and the Beast and UK tour. He first appeared in Les Misérables in 1996 playing Courfeyrac at the Palace Theatre and at Euro ’96 Finale; Hylands Park and Windsor Castle. He co-produced five concerts with the Bournemouth Symphony Orchestra and played Inspector Javert at the Queens Theatre, reprising the role in the 25th anniversary touring production. 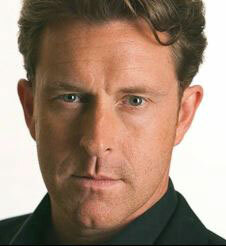 He was in Cameron Mackintosh’s 25th Anniversary Production playing the Bishop of Digne at the O2 Arena last October. Carpenter has recently played Inspector Khashoggi in the tour of Queen's We Will Rock You which he returned to after taking a break to appear in an international tour of Bill Kenwright’s production of Evita playing Peron. He has recently reprised his role as Inspector Javert in Les Miserables in London's West End and hjas jut finished playing the lead in the tour of The Phantom of Opera. He is one of the founder members of Three Phantoms who are due to start a European and UK concert tour in May featuring hits from shows they have starred in including Sunset Boulevard, Beauty and the Beast, Martin Guerre, Showboat, Guys & Dolls, Les Miserables and Aspects of Love and The Phantom of the Opera. Hew is then off to Toronto in Canada for six months at the end of this year to play Inspector Javert in Les Miserables with Ramin Karimloo playing Jean Valjean.